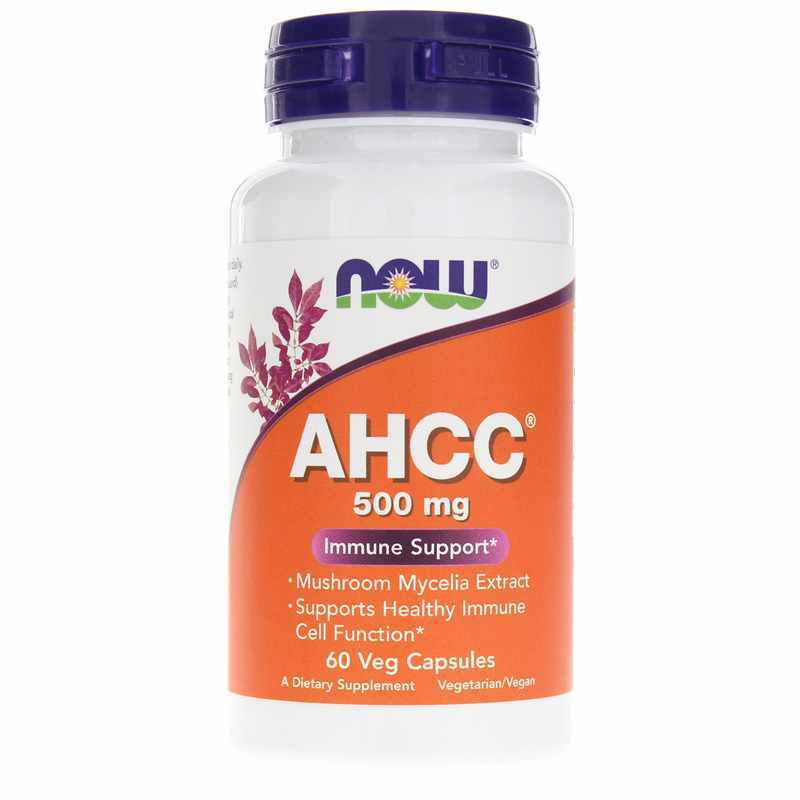 Now Foods' AHCC is produced from specially cultivated and hybridized mushrooms to provide support for your immune system health. AHCC, or active hexose correlated compound, may possess antioxidant properties to help protect your cells and DNA from free radical-induced damage, as well as from disorders associated with oxidative stress. It contains amino acids, fiber, and minerals, as well as polysaccharides, or a kind of carbohydrate that may work as immunity boosters. 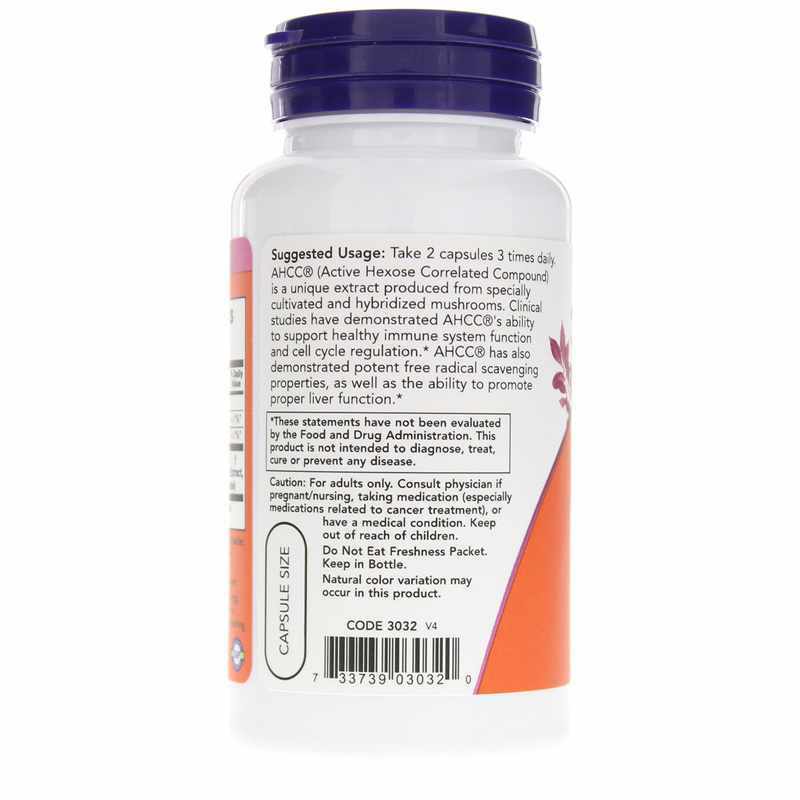 AHCC is designed to support macrophage and natural killer (NK) cells. Macrophages are a form of immune cell found in nearly every tissue in your body. They mainly engulf and destroy damaging organisms or substances. A type of white blood cell, NK cells may destroy virus-infected cells by triggering a number of cell-destroying pathways. Meanwhile, AHCC may also support healthy liver function. 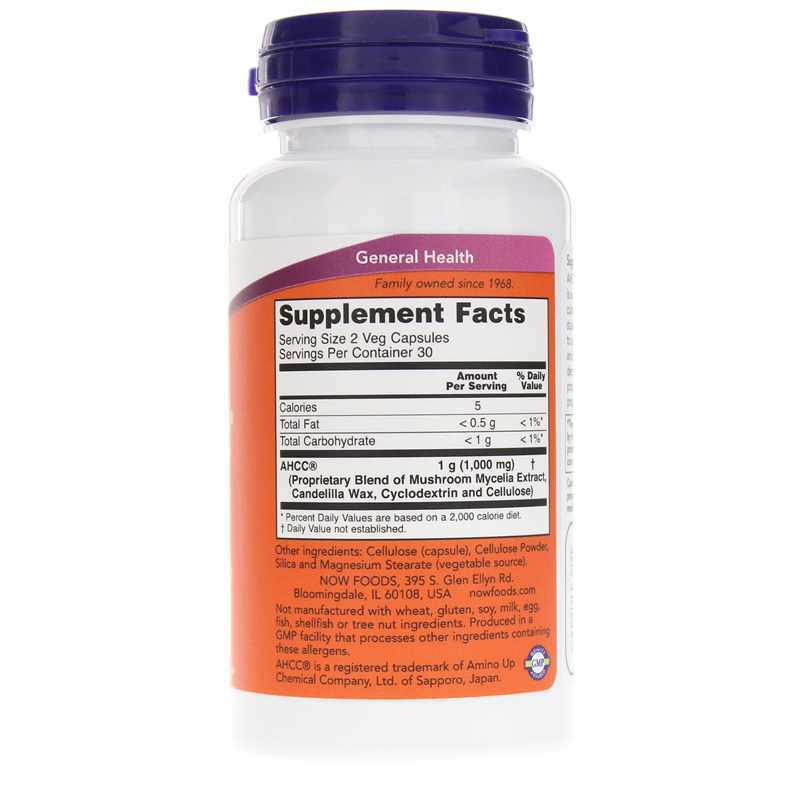 To use as a dietary supplement, you can take two Vcaps three times daily, preferably on an empty stomach. Adults: Take 2 capsules 3 times daily. For adults only. Consult physician if pregnant, nursing, taking medications (especially medications related to cancer treatment, or have a medical condition. Keep out of the reach of children.